Did you know that it takes on average 120 days for a business to detect a data breach? The Cyber risks are huge for dental practices, but there are ways to reduce your risks. Better understanding the risks is a good start to protecting your practice. It’s no secret that the threat of Cyber crime is a top risk to the healthcare industry. Medical history is much more lucrative than credit card details, which now can quickly be changed. Therefore, when protecting a number of dental practices, knowing the facts is key. In 2015, a government survey found that 60% of small and 81% of large businesses had been targeted by Cyber criminals. The cost of a Cyber attack in 2014 cost £115,000. This is a significant chunk of hard earned money for any dental group. Alarmingly, there are often multiple attacks or attempts on small businesses each year. In fact the FSB found that the 5.4 million small businesses in the UK are attacked by Cyber hackers a total of 7 million times each year. What risks should you be aware of? Most dental practices have an online presence, which could include a email correspondence, a website and social media accounts. These play a vital part of keeping in touch with patients and customer service. However, they can also be a weak link for Cyber crime. 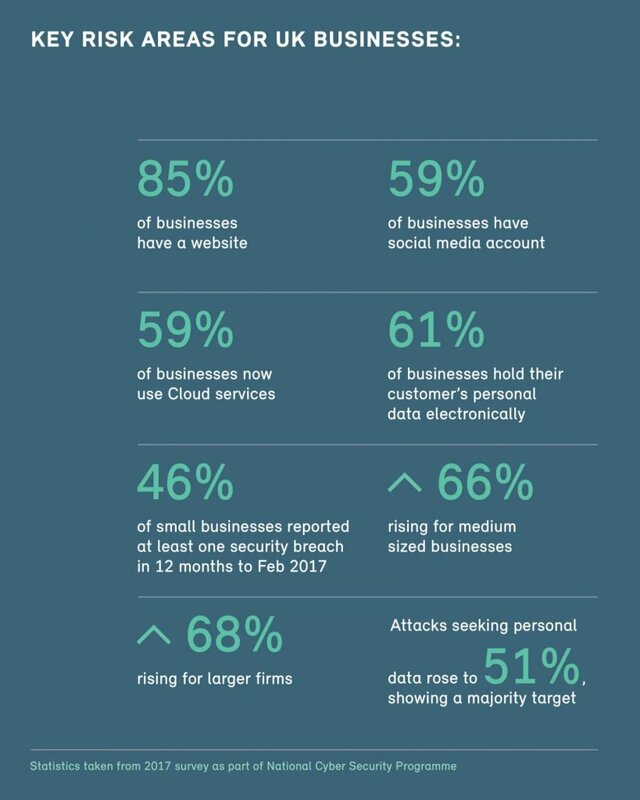 A 2017 survey as part of National Cyber Security Programme found that 59% of businesses now use Cloud services and 61% of businesses hold their customers’ personal data electronically. This means that not only do you need to keep passwords safe, but having a robust IT infrastructure is key. 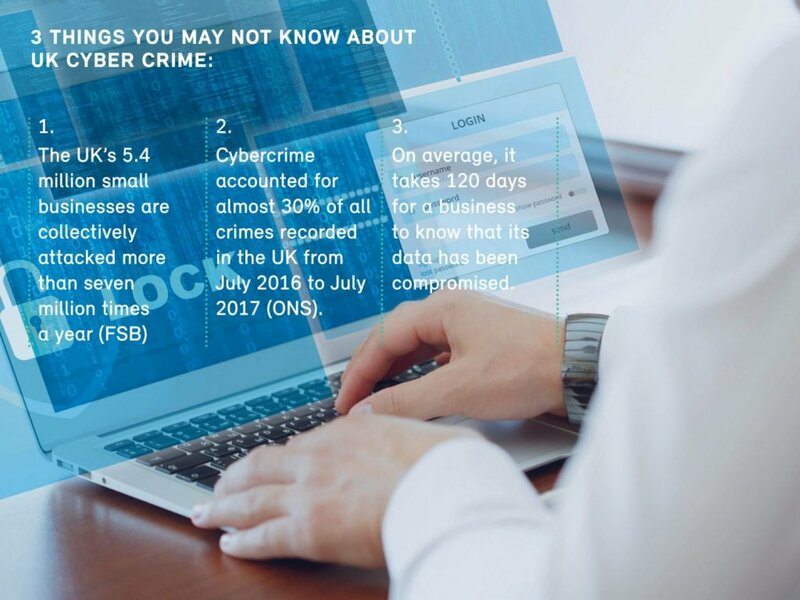 Research by FSB concluded that while 93% of small businesses have some kind of Cyber security in place, around 66% have been a victim of Cyber crime in the last two years. Ransomware attacks like WannaCry that crippled the NHS in 2017, have taught us the cost of not applying IT updates and patches. Another weak link in data protection is staff members receiving a phishing or scam email. Exploiting flaws in the network and installing malware is also another way that hackers catch you out. In all, Cyber protection requires a culmination of actions to prevent an attack and manage the fallout if the worst happens. It’s vital to your practices’ survival to seek professional help to ensure you do everything you can to protect you against Cyber attacks. All Med Pro’s Cyber Liability insurance, underwritten by Hiscox, provides cover specifically tailored to healthcare professionals. Find out more about what is covered in our Cyber liability policy that could help protect your dental group. We’ve already helped a number of dental practices through a Cyber breach. If you own or run a dental practice or group, talk to our specialist brokers about the best way to protect your business. All Med Pro are also running our first CPD verifiable workshop on 30 June about Risk Management. Booking will close on Friday at 6pm.